It was right after the election of America's first black president, and Kwame Onwuachi was hung over. He dropped out of college. He was dealing drugs and had been partying all night long. He was, he says, lost. And then he saw President-elect Obama grinning after his historic victory. And when he turned off that television set, he says he saw his own face reflected back at him. KWAME ONWUACHI: I thought, I can do anything. And I immediately flushed everything that I had down the toilet and was like, I need to find myself and find out what I'm going to do, how I'm going to be the first to do something. GARCIA-NAVARRO: He went to the grocery store and started to buy ingredients. He began to cook a meal - a chicken curry, to be exact. ONWUACHI: At that time, I didn't know that I wanted to cook. But it was like, here's something that I'm familiar with. Here's something that brings back these fond memories. And I want to explore this a little bit more. 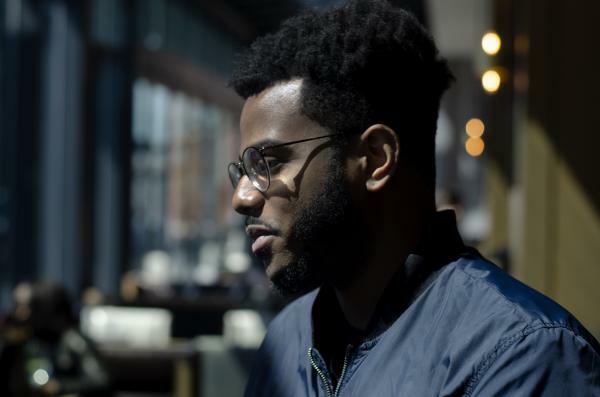 GARCIA-NAVARRO: For chef Kwame Onwuachi, the road to the rarefied world of fine cuisine has had many fits and starts, which he details in his memoir, "Notes From A Young Black Chef." Eventually, he would work in the best restaurants in America, have a stint on the TV cooking show "Top Chef" and open and close his first restaurant in Washington, D.C., before landing at his new venture, Kith and Kin. But where he really started understanding the food that would inspire him was in his mother's kitchen in the Bronx and from his father's Nigerian family. ONWUACHI: My mother - she started a catering company extrapolated from the house. And me and my sister became her first two employees. And, you know, times were hard. You know, there were a lot of times where we didn't have lights on. My mother made up a game called lights out where we all slept in the living room together and put candles everywhere. And she shielded me with love instead of revealing to me the harsh realities that were going on at that point in time. GARCIA-NAVARRO: Yeah. And her background is also, we learned, a lot of Creole cooking, a lot of Caribbean cooking. GARCIA-NAVARRO: I mean, those were her influences. GARCIA-NAVARRO: ...Ancestry. And so you got those African influences, as well. And you ended up living in Nigeria for a couple years. ONWUACHI: Yes, yes. I spent a couple of years there, you know, learning about my culture, my ancestors, traditions, and inherently, I also learned a lot about cooking. You know, if we wanted chickens - there was no, like, Super Bowl 20-wing package. If you wanted 20 wings, you had to raise 10 chickens. ONWUACHI: That's how it worked there, you know? GARCIA-NAVARRO: And he took all that into the high temples of American cuisine - first at Per Se, then Eleven Madison Park, two of the top restaurants in this country, both with multiple Michelin stars. But Onwuachi's memoir is not just a story about his rise from poverty and struggle to the kitchens of haute cuisine. It's also a meditation on what goes on behind the perfect facade of fine dining, what it's like to be a black man in this rarefied world. He tells a story of alerting the head chef of Eleven Madison Park to a word that has a double meaning as a racist slur that was being used during table side preparations in front of guests. He was told not to worry about it because, quote, "no black people eat here anyway." ONWUACHI: These jokes happen more than you think. We get looked over more than you think. And it's not the direct racism. You know, that joke was more clear to me than like, man, why am I not moving up? Why am I being looked over? You know, why did this guy just that started - and I'm doing my job. And I'm doing it well. And it's the unspoken racism that's hurtful. GARCIA-NAVARRO: Onwuachi left Eleven Madison Park. He wanted to cook his own food. A successful stint on "Top Chef" boosted his exposure as he was opening his first restaurant. He was only 26. People seemed almost gleeful, he says, when that first venture failed, saying he didn't deserve it yet. He hadn't paid his dues. ONWUACHI: I mean, it infuriated me at the time. Also to whom are you paying your dues to and who are setting these dues that are said to be paid? 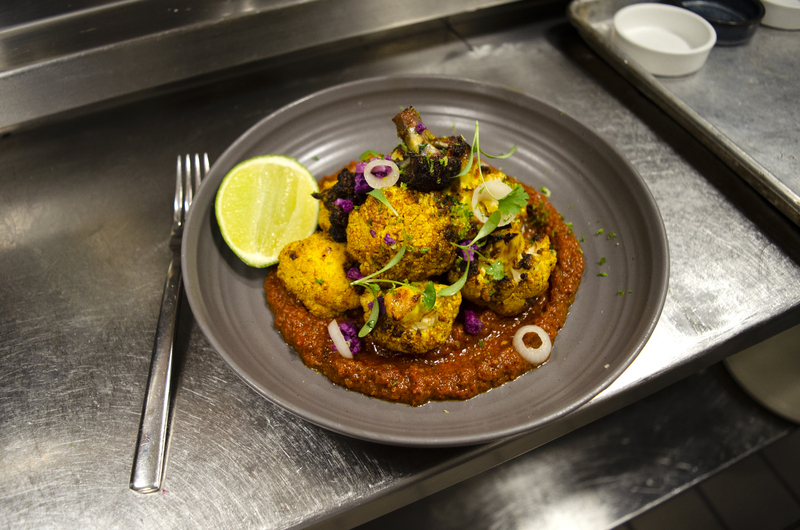 GARCIA-NAVARRO: These days, Onwuachi's new restaurant called Kith and Kin has gotten rave reviews. And he wants people to think about why critics and customers deem only certain food worthy to be eaten in the best restaurants. ONWUACHI: It's this, like, secret club of, like, OK, only these four types of different cuisine, you know, can be refined - it's, you know, Italian, French. Asian gets bunched up into one, you know - and Japanese, and then that's it. You don't have, you know, Southeast Asian in there. You don't have the Caribbean or all of the diaspora, which is, like, 54 different countries, you know? One of them's got to have a food that you can respect at a high level, right? 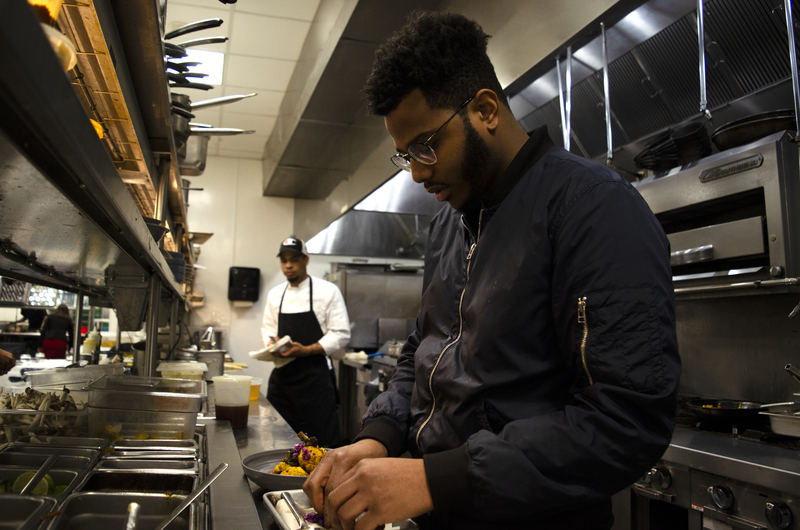 GARCIA-NAVARRO: That's been a central part of Onwuachi's mission as a chef - to tell his family's story with its mix of African, African-American and Caribbean influences at a high level. But people in the industry often tried to pigeonhole him, asking him why he didn't do soul food. Why don't you just do something that everyone is familiar with, he was asked. ONWUACHI: My roots are not fried chicken and mac and cheese and collard greens. I mean, that's part of it. But, like, that's not what my family cooks. We cook gumbo and peel and eat shrimp and shrimp etouffee, you know? So those are the things that resonate with me. But also I'm a black chef, so the food that I cook is black. That's it. I don't need to be pigeonholed into soul food or even Creole food or even just West African food. I'm a culmination of many different cultures. And the ideas that I have are because of that. And they're guided by that. GARCIA-NAVARRO: Ideas we can see clearly when we walk into the kitchen at Kith and Kin. ONWUACHI: We have jollof rice, jerk chicken. You have braised ox tails. You have suya. And then you have stuff from the diaspora, as well - sambusas, Ethiopian hot chicken sandwich. GARCIA-NAVARRO: Chef Kwame is making charred brassicas for us - cauliflower with a mix of all those influences. ONWUACHI: And I made romesco sauce with Nigerian stew. And it's like the basis of all Nigerian cooking. There's, like, a lot going on in here. GARCIA-NAVARRO: His mom's spice blend. ONWUACHI: It's important. We use it in everything. And it's right here, too. GARCIA-NAVARRO: At the end, what we see is a mix of cultures and flavors that is colorful with its purple and okra and refined and so tasty. I asked him what he hopes Kith and Kin will mean to the people who eat here. ONWUACHI: You know, if you walk through the dining room right now, you'll see people of all colors. ONWUACHI: And that's a rarity for me in D.C., honestly. For some reason, this restaurant feels a little bit more welcome. Maybe it's because they can celebrate their culture while celebrating an experience. You know, they can eat ox tails while celebrating a 70th birthday or wedding anniversary. And that's the difference. So hopefully, there's going to be a bunch of restaurants that open after mine that are Caribbean and African. And I want to be that gap that has brought everyone together. GARCIA-NAVARRO: That was chef Kwame Onwuachi. His memoir is "Notes From A Young Black Chef." Transcript provided by NPR, Copyright NPR.